MUSHOWANI Stars’ media officer Dapi Mutasa members of their community to rally behind the Bindura-based team. Mutasa made this plea at the PSL induction meeting held in the capital on Friday. “Our set up of the team is different from others because ours is a team from the rural areas. “So our football is from kumusha and we will be playing for vanhu vekumusha. “We are happy that we now have a team from the rural areas that will be representing all the people from the rural side. “And l want to urge all rural people to rally behind Mushowani because that’s the team which is upholding the people there,” he said. “People think that it’s only people from the urban, who are good at football but no we are here to prove them wrong. “We recruit our players from local schools and we haven’t changed our players. We are just coming with those that played in D1 because we felt that those are the people who did a good job. “If they did it then what can stop them from doing a good job again. Mutasa hailed the induction saying it was an eye opener. “The Induction was an eye opener because there were some things we didn’t know that we have learnt here, so we are now going to rectify even the mistakes we were making,” he said. 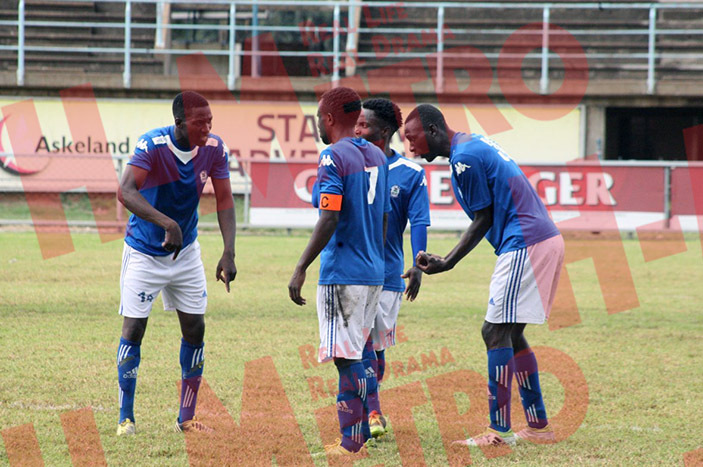 Mutasa is hopeful of using Trojan as their home ground. “We have two other options though l don’t want to talk about them because we are hoping to use Trojan as our home ground nekuti ndiko kumusha kwedu KuMadziva. “That’s where our blood is so we will try to make sure that we use Trojan. “As Mashonaland West we are happy that we’ve brought football back to the community,” he said. An ambitious Mutasa hopes to ignite the league. “Our target is to survive relegation; however winning the league will be a bonus. “We are targeting top eight,” he said.